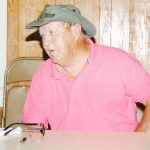 On Saturday, August 11, 2018, the Dillon American Legion Post 0032 will hold its Annual member and family cookout. 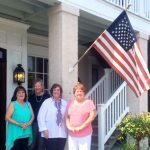 The annual meeting of the South Carolina Daughters of the American Revolution District VI members was held at Clark’s Inn and Restaurant, Santee, SC on Saturday, July 28, 2018. 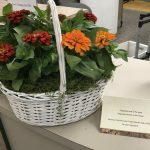 As a precursor to the Fall colors yet to come, the Glove and Trowel Garden Club has placed flowers at the Dunbar Memorial Library on Main Street in Dillon. 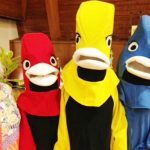 The Yellow Jessamine Garden Club enjoyed the GCSC Expo 2018 at Ebenezer Lutheran Church in Columbia, S.C. on July 14, 2018. 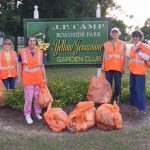 The Yellow Jessamine Garden Club participated in the Palmetto Pride and SCDOT Adopt a Highway program on Monday, July 16, 2018. Chairman Johnnie Daniels called the meeting to order and opened with prayer. Dillon County District Four Councilman T.F. 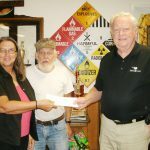 “Buzzy” Finklea, Jr. presented a check to the Oak Grove Neighborhood Watch to assist them with their group. The Alpha Alpha Chapter of Alpha Pi Chi National Sorority, Inc. hosted its annual Torchbearers’ Pageant. The Oak Grove Neighborhood Crime Watch took cookies and other treats to the 911 center, County Detention Center, Sheriff’s Office, Magistrate’s Office for all the work they do for the people of the county.